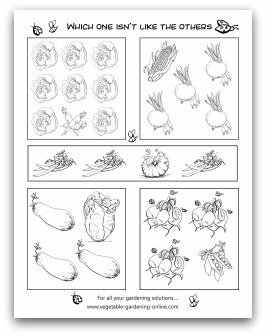 Download our fun free worksheets for kids that teach all about vegetable gardening! 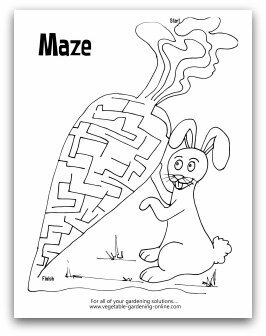 These printable educational kids activity sheets, coloring pages, worksheets, and crafts are designed for preschool, early elementary, and elementary age children! 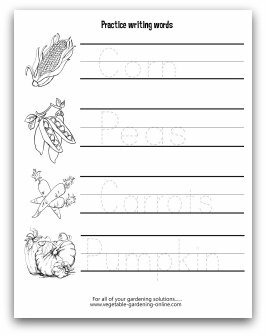 Learning about vegetables and gardening never seemed so exciting as it will with our cute carrots, bunnies, lettuce and ladybug worksheets! 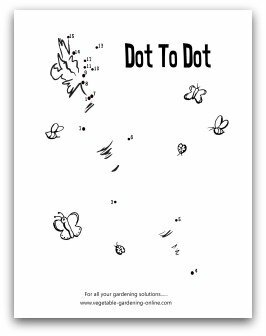 We offer different levels of fun, educational gardening printables, so that kids of all ages can join the fun! 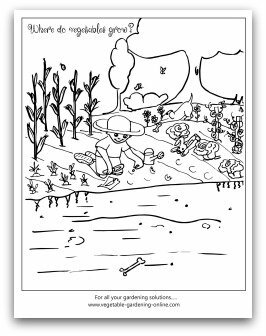 Our cute educational coloring pages are all about vegetable gardens, and the fun activity of growing your own garden at home. 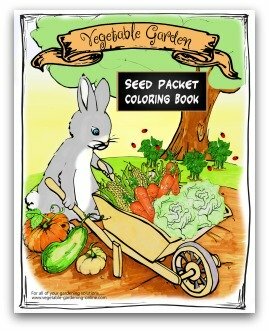 Kids will learn about different vegetable plants in the garden, how they grow, and have fun with colored pencils, markers, or crayons at the same time! 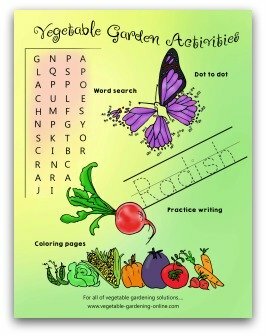 These fun vegetable garden printable activity sheets are designed to help kids learn about gardening and healthy eating in an entertaining way. 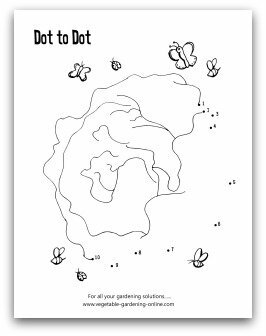 The educational activity worksheets are for preschool through early elementary student learning levels. 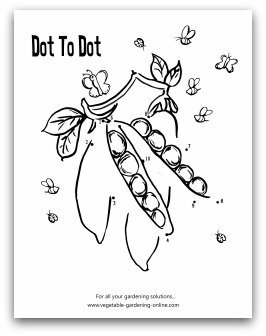 All our printable free worksheets for kids can be colored for enjoyment, while teaching simple lessons about vegetables and gardening. 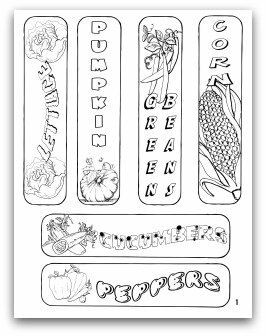 These vegetable garden bookmarks are designed to be colored, and cut-out as a fun activity for preschool, kindergarten, or early elementary age children. 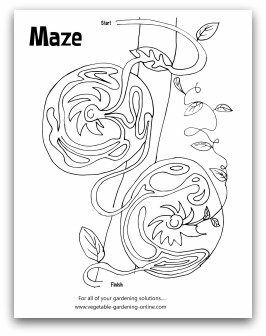 The bookmarks worksheets can be printed on card-stock, then colored, and used as a classroom bookmark, or a fun gift to take home for parents or grandparents. 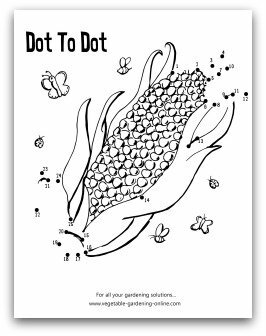 Our vegetable dot-to-dots teach counting up to ten, and the mazes develop skills at finding the way through a puzzle. 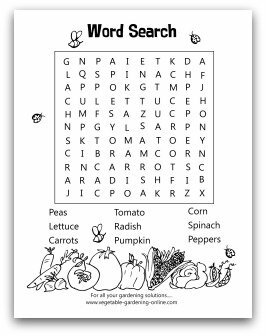 The word search re-enforces spelling of vegetable words, while offering the challenge of finding hidden letter combinations. 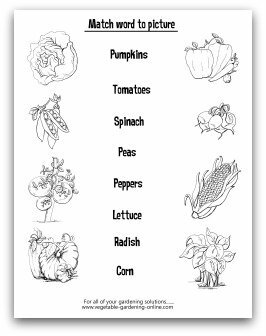 Word match puzzles are fun for helping teach the basic vegetable words, while finding the picture that matches. 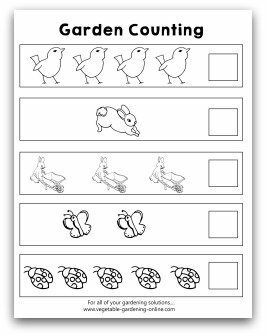 Our counting practice worksheets are designed to help counting skills, and are fun to color as well! 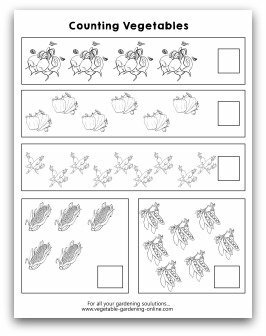 "Which one isn't like the others" worksheet helps kids with the skill of differentiating between the concept of same and different. 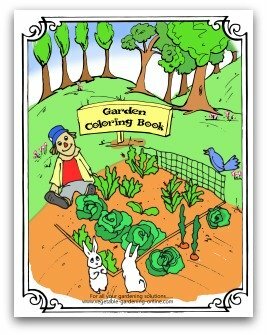 All the activity worksheets have fun pictures to color, while providing a learning experience for kids. 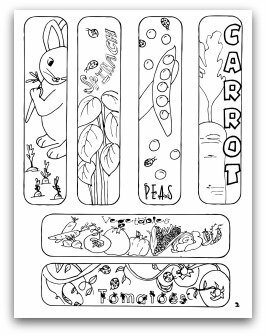 Bookmark this page, as we have many more fun and educational vegetable gardening kids' printable activity coloring pages, worksheets, bookmarks, and other fun stuff to do at home and school, coming in the next few weeks. We will soon have cute scarecrows to color, and paper-plate scarecrow crafts that will delight and entertain kids of younger ages.